Ivan is a gorilla who is a featured attraction with a small collection of animals near an Interstate shopping mall. He enjoys drawing pictures, and the company of his friends: Bob the dog and Stella the elephant. 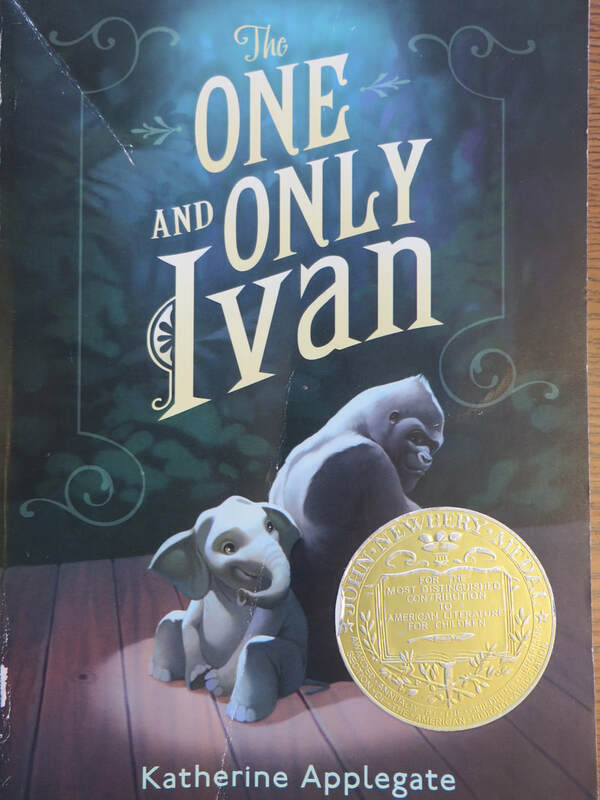 When Ruby, a baby elephant, joins them, Ivan begins to wonder whether this life is good enough for her, or for himself. Each small section of the book is told as a short prose poem, which is not distracting or even immediately obvious, but it would be a great way to model writing in verse with students. The writing has a feel of DiCamillo with a splash of Applet (in The Underneath), but the language is less ornate and the pace is faster. The story raises questions that young readers will be glad to discuss and debate about animal rights and their care, and it subtly challenges their assumptions about heroes and villains. "The One and Only Ivan quote"